The webhosting industry has grown by leaps and bounds to match the rising demand in the web business segment. From a simple and somewhat easy to understand and use model, webhosting has grown in complexity and technical girth to a level that only experts can fully understand how to comprehensively operate and manipulate it. The relief however is that is in spite of the growth in complexity, there are still bits and pieces that have retained the simplicity that was from the beginning. There are two major platforms that have remained dominant from the beginning and continue to rule the market today. 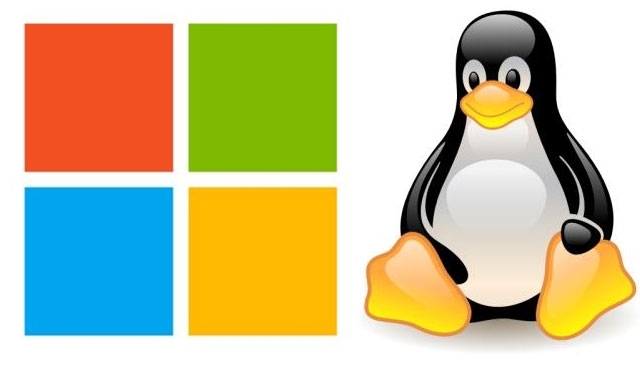 These platforms are Linux and Windows. These two platforms have their own pros and cons and this means therefore that you have to be extremely careful whenever you are settling for any of them. You have to look at the features that each of these platforms provides and which of them can be of benefit to your site and business. Compared to Linux, Windows is more popular. Many companies prefer the user friendly and simple atmosphere that Windows use. Due to the rising demand, the law of economics relating to demand and supply has it that the pricing should also go up. There is an air of dependability and trust that surrounds Windows Hosting plans and this has made webhosting companies attach a premium pricing compared to Linux. On the other, Linux is a bit of a hard sell as people are not as familiar with it as they are with Windows. Due to this fact, many webhosting plans that run on Linux are offered at affordable rates just to make them sell. The availability of many Windows based applications also has contributed to its popularity. Compared to Windows, Linux servers are considered to be very stable and dependable. This means that maintaining such servers is less costly as they do not crash easily. This is one of the factors that partially explain why Windows-based Hosting plans are such expensive. To successful run a hosting plan on windows, you require a number of things to support it one of them being human resource base. You need a pool of technicians who can help offer support anytime to the clients whose sites are running on the Windows servers. You also require an array of tools that are necessary for the regular servicing of the Windows servers in order to maintain their integrity. All these costs are usually passed over to the end users who are the web-masters. This makes such plans weigh heavily on the budgetary allocations compared to Linux solutions. Windows Hosting plans run on Microsoft applications. This is one of the key reasons why such hosting plans attract a higher pricing compared to their Linux counterparts. With many companies using Microsoft applications such as the Office suite, there is a growing demand of hosting plans that run on Windows. This demand has made some hosting companies see the opportunity of business and premium pricing. Linux on the other end has not achieved much when it comes to applications and a few companies employ Linux based applications. This again has taken such a heavy toll on Linux systems and services connected to them resulting into low and discounted prices. Many web-users and programmers prefer Windows as opposed to Linux. The same applies to novice internet users and web surfers. Many vendors and site owners have as a result opted for Windows hosting plans so that they can make their sites easy to use in order to win customers and potential web traffic. This has to a greater extent affected the pricing of Windows Hosting plans making it retail at higher prices compared to Linux based Hosting plans. When searching for hosting plans, you can use the reverse researching technique where you first find out about the complaints that other users have as this can give you a clearer picture of the state of affairs. Resource Box: John Edward is a freelance web developer who has spent part of his life giving consultancy on web development and launching. He at one time worked with The iPage Review List for a short term web review contract.